Hello my sweeties! Here I am again with another Friday pattern feature. These patterns are not created by me, but by other very skilled and creative crochet artists who offer some of their hard work for free use! This cute Maneki Neko is really quick and easy to make and would make a great gift for any store owner, whether it’s a physical store, online store or craft market stall! Hey my lovelies! Another shop suggestion coming your way. Look at these amazing word art posters. So unique and different, these would spiff up any room in an instant! Go check out this great little store! Greetings, kittens! Here I am again with another Friday pattern feature. These patterns are not created by me, but by other very skilled and creative crochet artists who offer some of their hard work for free use! 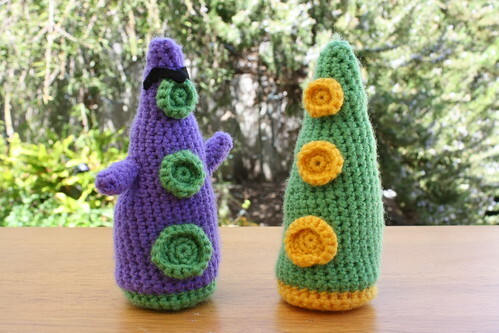 DAY OF THE TENTACLE! Oh my gosh, I LOVED this game! SO MUCH! IT WAS SO AWESOME! Man, they just don’t make games like that anymore, huh? Alright, now that I’m done with that, go head over there and have a look at that awesome amigurumi pattern! And make one! Or two… or A HUNDRED AND SCATTER THEM AROUND TOWN! *runs around arms flailing wildly* WAAAAAAAHHHHHH! Hello you little crochet fans! Today I have a special recommendation for all of you. These gorgeous and unique patterns are sure to brighten your day. If you are looking for a challenging project with an amazing outcome, check out this store’s great line-up of one patterns! Hello everyone! Here I am again with another Friday pattern feature. These patterns are not created by me, but by other very skilled and creative crochet artists who offer some of their hard work for free use! 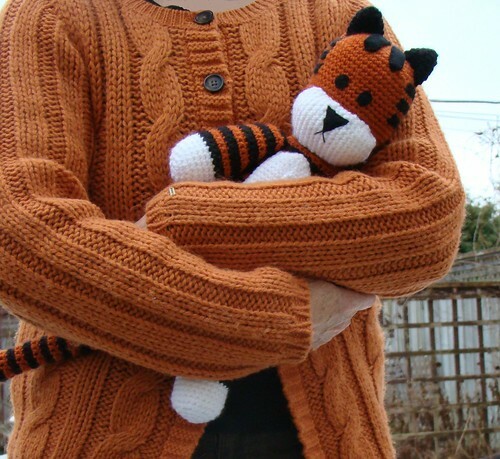 Did you always want to own a little Hobbes? Or give one to your child, sibling, niece/nephew, random kid on the street? Well, now you can! Hey my lovelies! Here I am again with another Friday pattern feature. These patterns are not created by me, but by other very skilled and creative crochet artists who offer some of their hard work for free use! 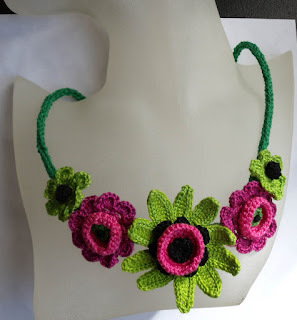 How about a beautiful, summery flower necklace pattern today? This pattern can be worked with crochet thread or yarn in any colors you desire. You could also use the flowers on a hair clip, bracelet or as an applique on clothes, bags, shoes, so many possibilities! Hey there my friends! Here is another shop suggestion coming your way. Purses, aprons, hot pads, lots of adorable creations made from geeky fabrics. So if you, like me, love Dr. Who, Firefly and the like, head on over and check out this amazing store! Hello darlings! I have another great shop suggestion for you. Want to write in style? Well, how about these amazing handmade feather quills? These will definitely make you want to write good, old fashioned handwritten letters again. So go check out this amazing shop with lots of feathery goodness! Hi sweeties! Here I am again with another Friday pattern feature. These patterns are not created by me, but by other very skilled and creative crochet artists who offer some of their hard work for free use! So, we all love our crochet hooks, right? Now you can show your hook some love! A crochet hook amigurumi! How adorable is that! The pattern is really easy and suitable for beginners. You can make it in any color to match your favorite crochet hook. Hello my kittens! I have another gorgeous shop suggestion for you. These hand painted shoes will definitely steal the show where ever you go! I’d love to own a pair of these, so amazing! So go and check them out.